If you’re considering moving to a new home in Glendale, one of Phoenix’s Suburbs or are about to relocate a business to Glendale, you aren’t alone — more people move here every day. 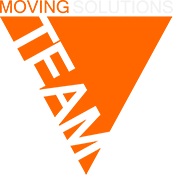 moveON moving is one of the top Glendale Movers specializing in long distance moves to and from the Glendale area. We’re moving pro’s with tens of thousands of successful moves completed during our history. We know what it takes to move your property to a new home or business location with maximum care and minimum fuss. It is a testament to our skill and dedication that most of our new customers are referred to us from previous happy customers. You can trust the professional Glendale movers at moveON moving with your most treasured belongings. As a licensed Glendale moving company, we only hire the best moving men to move our customers household goods. We conduct exhaustive screening of our movers to ensure we select only qualified and skilled individuals. All of our employees have flawless driving records and no history of drug use or criminal activity. We are also fully licensed with the US Department of Transportation and insured. 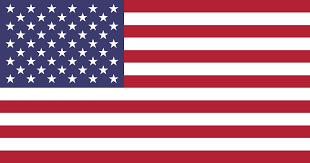 At moveON moving, we are proud to be one of the only Glendale moving companies to extend special discounts to Phoenix senior citizens and active duty military. Contact us for details about how we can make your move more affordable. If it’s time to move from a home you’ve owned for many years to a smaller more manageable living environment.— or if you’re on duty and Uncle Sam has called you to another area of the country. Your local movers Glendale are on call ready to help. Almost every move has a few obstacles to overcome. You may have some particularly bulky pieces of furniture like a large sectional sofa or heavy wood armoire. Those heavy items are impossible for a single person to move. You might be moving to a home with a long path from the driveway to the door. Maybe you’re even moving to an apartment building without an elevator. For our professional Glendale movers, navigating these challenges isn’t a major obstacle, it’s just part of the job. We have the tools and the manpower to simplify the most complex moving scenarios. Need to Move Something Special? You can trust your local Glendale movers at moveON moving to determine the best way to pack your item and deliver it safely to its new location. If it’s heavy furniture, we know how to dissemble it and put it back together. We specialize in moving bulky and specialty items. We know how to wrap it properly it so it doesn’t scratch your other items in the moving truck. Tell us what you need, and leave the logistics to us. Do you want to move your items to a new home or business location in advance of your move so it’s ready for you when you arrive? We offer short-term and long-term storage options for items of all sizes. There’s no need to experience the stress of not having your possessions available when you move to a new home. We’ll pack your items and transport them to our secure storage warehouse so they’re available when you need them. Our storage service is also perfect if you need to move items out of a house temporarily for a remodeling project. Do you want to put in some new flooring or repaint your home? Would you like to make some extra space in the home while your son or daughter is away for college? Give us a call. We’ll keep your items cool and safe in our climate-controlled storage warehouse with 24-hour security. When you’re planning a cross-country move, it’s difficult to find the time to pack your own items. Our professional packing service might just be right for you. You’re busy negotiating with an employer, scheduling the closure of utility accounts and enrolling your children in their new schools. Let our trained phoenix movers remove the stress from the packing process. On the day of the move, we’ll arrive with enough boxes, paper, plastic wrap, bubble wrap, packing foam, furniture blankets and tape. We will pack your items with care to ensure they will arrive at their destination in perfect condition. We’ve packed the items from thousands of homes and businesses, and we know how to pack household goods efficiently and safely. Is your business planning a long distance move to or from Glendale? As us about our white glove moving service for businesses. Modular office furniture is especially well suited for disassembly and reassembly. We’ll break everything down for you, move it to a another location and reassemble it so you can get back to work quickly. Do you need to relocate a business without losing the ability to serve your customers? No problem. We’ll schedule the appointments for pickup and delivery outside your business’s normal operating hours. We offer freight services for businesses who need to ship large items at competitive rates. If your company needs to ship an item such as a fork life, shop tool, mainframe server or piece of furniture to another state, call us for a quote. Our low rates can help a business stay lean, mean and profitable. Nothing sells a house more quickly than a great furniture setup which helps prospective home buyers visualize what their new home will look like when they move in. We can move display furniture from Glendale to any location nationwide. Provide a floor plan to us, and we’ll have the furniture perfectly arranged in time for the showing.